Oculus announced that the user will be able to access their Facebook account from inside of the Oculus Home interface on Gear VR. The users will also be able to see through their news feed through this. Facebook already allows the user to view their Facebook in the new Oculus browser but they want to bring this feature to Gear VR. Currently, Facebook is rumoured to conduct the test of this technology and is not available for the public use. This functionality will allow the users to see their notification, send messages and much more that too without leaving VR. According to the Oculus spokesperson, this functionality is only for the Gear and will be expanded later. The user can log in and log out anytime which makes the use of Oculus Home optional. If they do not use Oculus Home, then the Facebook tab will remain as an option at the bottom. There were questions raised about the Facebook’s intention when they acquired Oculus. Now, the recent development clearly shows the direction in Facebook wants to use Oculus technology. However, there is slight concern about Facebook tracking users behavior using Oculus but the Facebook spokesperson denied this fact. Facebook will not track users behavior and log into Facebook for Oculus Home does not link to the Facebook and Oculus account. Oculus did release a new sign-in option using Oculus Home that allows the user to link their Facebook account directly to their VR identity. Facebook also released Facebook spaces which gathered lots of user’s attention and is considered to be one of the best social VR experience. 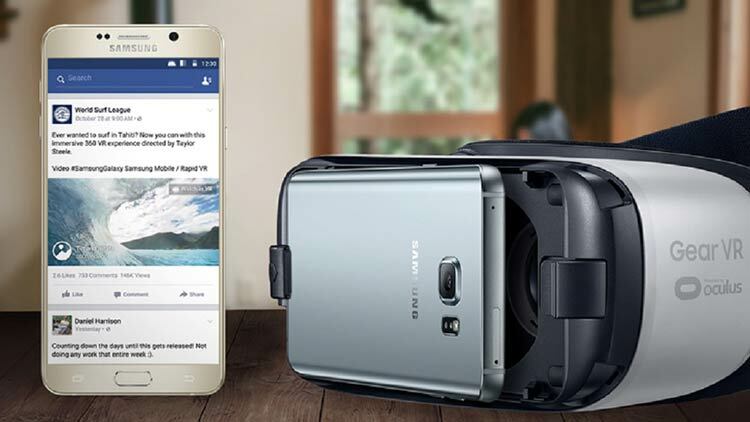 Facebook surely aims at improving the users browsing experience through VR. We would have to wait and see how Facebook goes about this.